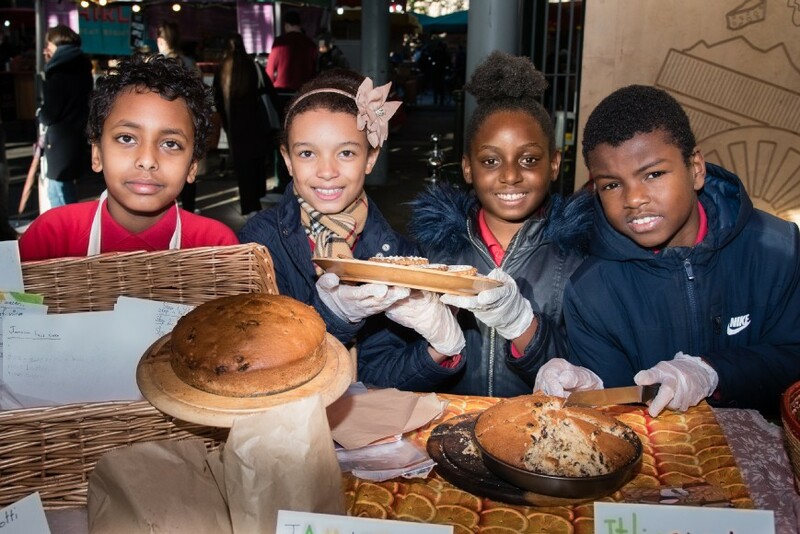 Borough Market is holding a ‘celebration sale’ next week to bring diverse communities together through food. 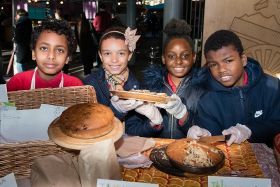 On Wednesday 21 November primary and secondary school children from the London borough of Southwark will set up shop in the city’s oldest food market to sell cakes, breads and pastries that celebrate their cultural heritage. The sale follows a training day where the children discussed the diversity of Southwark, where the market is based, and came up with the idea of having a cake sale. During a tour of the market, the school group talked to a range of international traders about why food is such an important part of their identity and listened to the stories behind the products they sell. Replicating the process used to select permanent traders at Borough, a representative from the market recently visited the pupils at their schools to taste their baked goods and approve them for sale. The products were tested for flavour, presentation and originality. While at the schools, the children were offered advice on how to set up and run a market stall, with tips on marketing, setting prices, working out profits, dealing with customers and maintaining a high level of hygiene. Baked goods on sale will include South American vegetable empanadas made using blue corn, Chinese ‘egg biscuits’, a tropical Caribbean cake and a French quiche, among others. Food diversity is also reflected in the businesses and products represented at Borough Market, where people from all walks of life have met and traded for over 1,000 years. Stallholders from across the UK and over 30 different countries make up today’s market, offering a wide variety of produce. The Celebration Sale is part of an ongoing partnership with food education charity School Food Matters. All proceeds from the Celebration Sale will go to food waste charity FareShare, with every £1 raised allowing the organisation to feed four people. The event will take place in the Market Hall at Borough Market between 11am and 1.30pm.